The new Skimz Oval Conical protein skimmer is sleek, small and powerful. 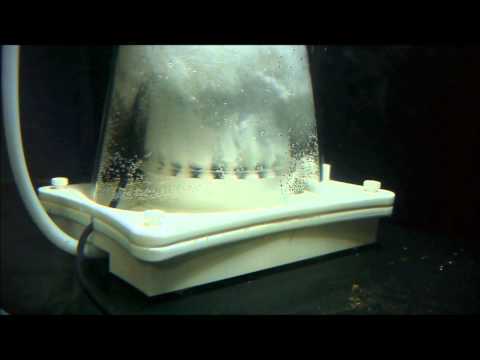 With space saving design, it is great for people who have small sumps, but in need of a powerful protein skimmer. The design of the new Skimz Oval skimmer has slimed down the footprint by almost 25%. In addition to the included VSC-DC pinwheel pump, the Oval skimmer features a double cone and an integrated volute. These pumps are DC which allows users to select from six preset RPMs via the controller to tune the skimmers performance on demand. Skimz SV223 rated for systems up to 2,000L, draws an air intake of 1,800 LPH of air while consuming 35W. - For Aquariums up to 2000L (528g). The best Skimmer Review by Erick G.